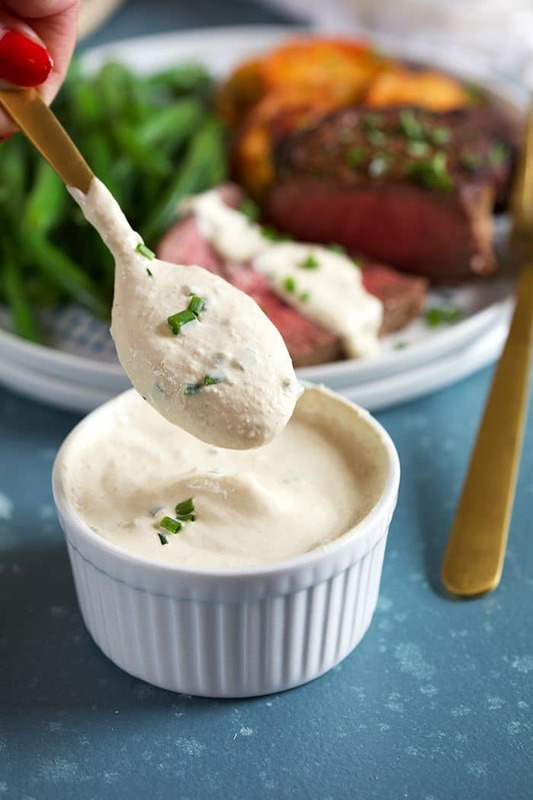 The perfect accompaniment for all your favorite dishes, this Creamy Horseradish Sauce recipe is a snap to whip up. 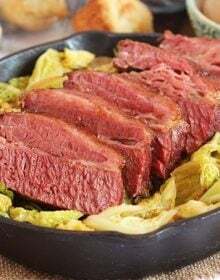 Fantastic for your favorite Beef Tenderloin or Prime Rib recipes or for slathering on a roast beef sandwich. Stash it in the fridge to amp up the flavor in so many dishes! 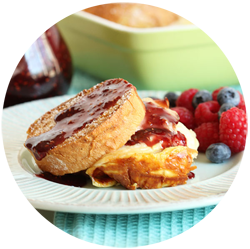 I’m a big fan of condiments and spreads….and jams and peanut butter. My pantry is totally busting at the seams with all kinds of jars, bottles and containers filled with various sauces to put on all the things. Unfortunately, my pantry is small so it’s a real problem this hoarding of flavorful toppings and so I try to make my own from scratch on an as needed basis. 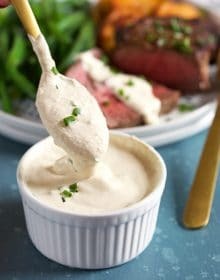 This Creamy Horseradish Sauce recipe is a regular occurrence in my kitchen for the pure reason that it’s simple and AHHHMAZING! 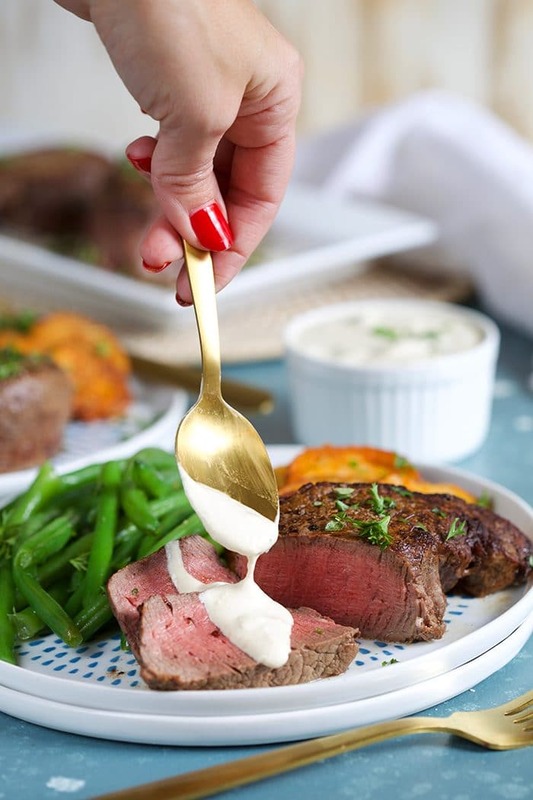 For holidays where beef is present like that Christmas beef tenderloin or standing prime rib roast, this easy Horseradish Sauce is a MUST HAVE. 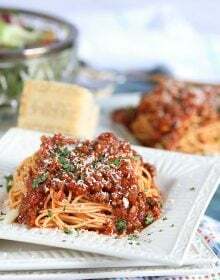 It takes about a minute to stir up and it’s slightly sweet, tangy, peppery bite is the perfect compliment to buttery beef. 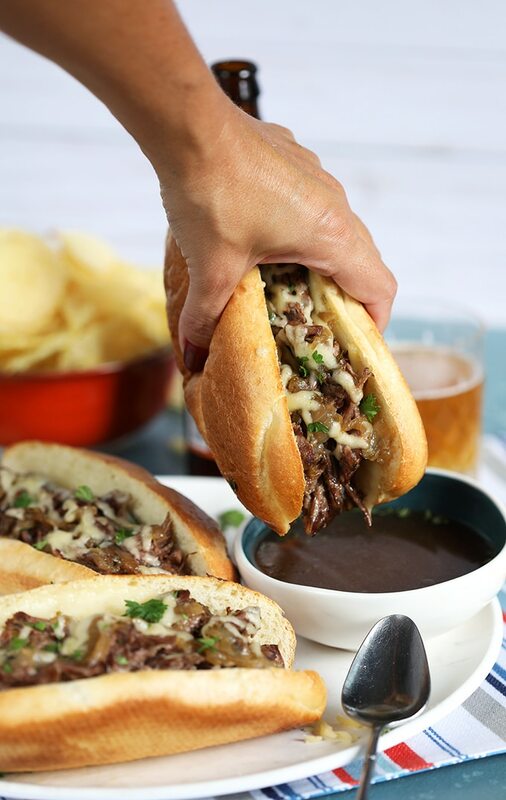 I don’t remember when I even came up with this recipe, it had to be well over 20 years ago because it’s been burned in my brain forever and I LOVE it for my daily roast beef sandwiches. It’s also great on fish and chicken! Or drizzled on a baked potato. 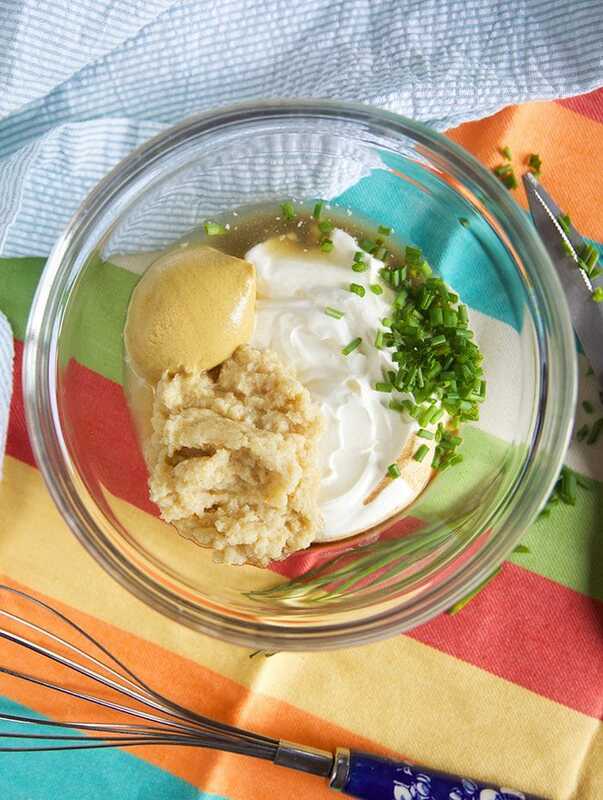 How do you make Horseradish Sauce from scratch? 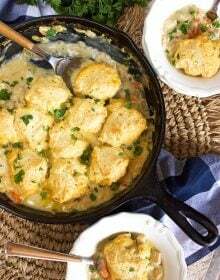 Your Creamy Horseradish Sauce is only as great as the ingredients you put in it so find your favorite and just whisk them together in a bowl. 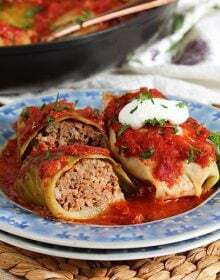 Cover tightly with plastic wrap or transfer to an airtight container and store in the refrigerator until ready to use. What is Horseradish Sauce made of? 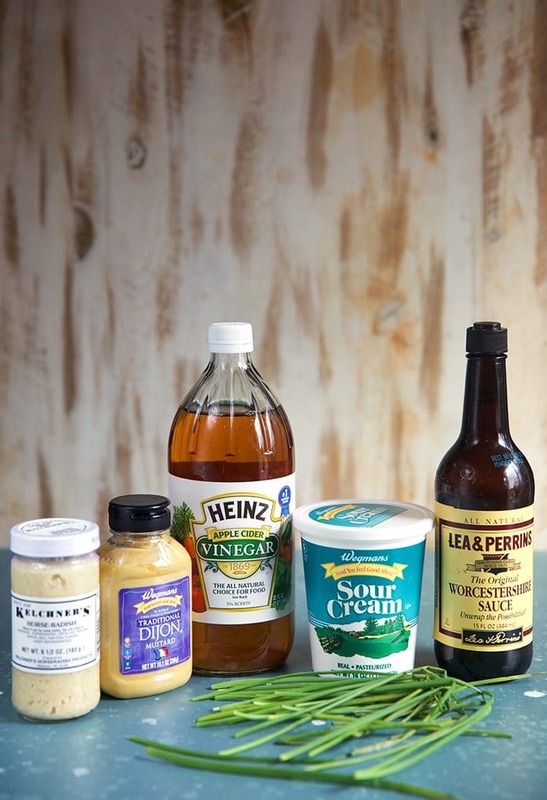 Just a few simple ingredients stand in your way of one of the BEST Horseradish Sauce recipes ever. 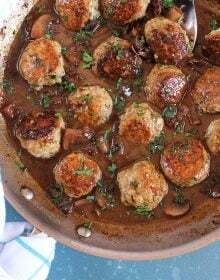 Some recipes call for champagne vinegar or even lemon juice which works well but I love to use Apple Cider Vinegar because of it’s subtle sweet note. I like to make my horseradish cream sauce about 24 hours in advance so the flavors can amplify over time. 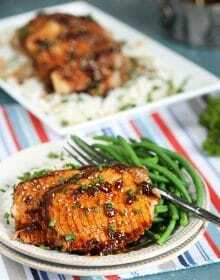 If you forget to make it in advance, no worries, it will still be packed with flavor and taste perfectly amazing. Spoon some over these Grilled Garlic Potatoes. Stir some into these Mashed Potatoes and….swoon. There really are no limits to how much you can add this easy Horseradish Sauce to. 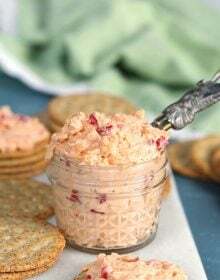 It’s incredibly versatile and may just replace that ranch dressing or ketchup you have in your refrigerator. 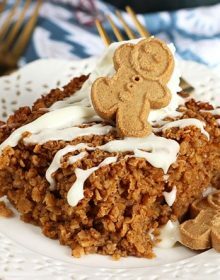 Want more recipe inspiration and fun behind the scenes antics? Follow us over on Instagram! 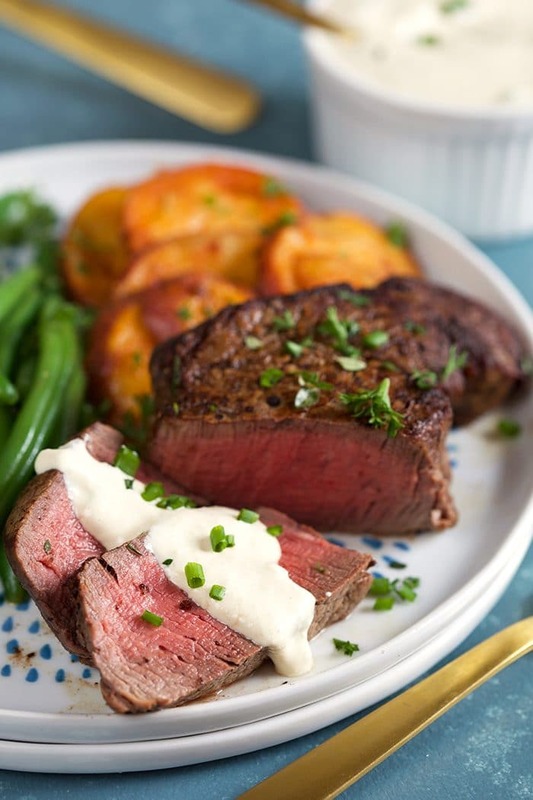 Ready in under a minute, this easy Creamy Horseradish Sauce is the best topping for beef tenderloin, steaks, prime rib or your favorite sandwiches. Goes well with fish and chicken, too! 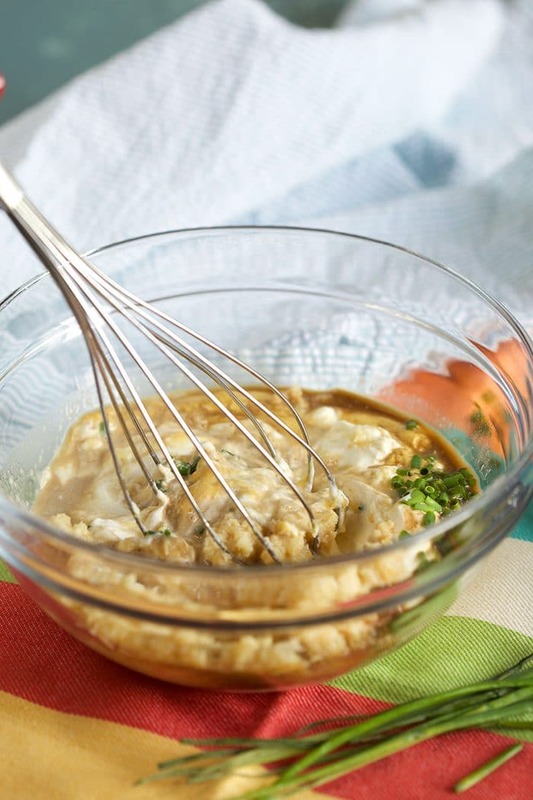 Whisk together the sour cream, horseradish, dijon, vinegar, worcestershire sauce, salt, pepper and chives. 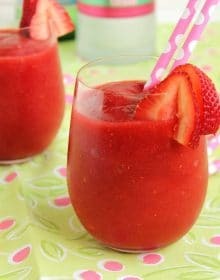 Transfer to an airtight container and store in the refrigerator for up to 5 days. 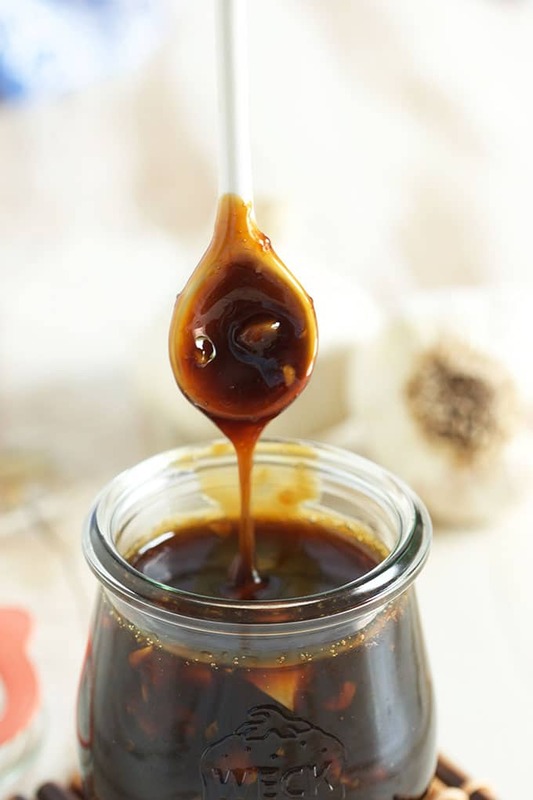 The sauce can be made up to 5 days in advance and stored in the refrigerator in an airtight container.